Java Tutorial For Beginners – Java Programming Made Easy! Servlet and JSP Tutorial- How to Build Web Applications in Java? Most of us already know that normal applications can be easily built using core Java concepts. But, when it comes to developing web applications, advanced Java fundamentals, like JSP, Servlets, JDBC etc., can add on to the capabilities and features of the application and thus are essential for developers. 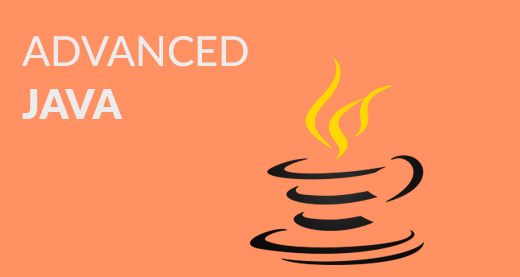 Through the medium of this blog on Advanced Java Tutorial, I will be giving you a complete insight into the fundamental concepts of Advance Java. You may also go through this recording of Advanced Java Tutorial where you can understand the topics in a detailed manner with examples. Advanced Java is everything that goes beyond Core Java – most importantly the APIs defined in Java Enterprise Edition, includes Servlet programming, Web Services, the Persistence API, etc. It is a Web & Enterprise application development platform which basically follows client & server architecture. Advance Java i.e. JEE (Java Enterprise Edition) gives you the library to understand the Client-Server architecture for Web Application Development which Core Java doesn’t support. J2EE is platform Independent, Java Centric environment for developing, building & deploying Web-based applications online. It also consists of a set of services, APIs, and protocols, which provides the functionality that is necessary for developing multi-tiered, web-based applications. You will be able to work with Web and Application Servers like Apache Tomcat, Glassfish etc and understand the communication over HTTP protocol. But, in Core Java, it is not possible. There are a lot of Advance Java frameworks like Spring, JSF, Struts etc. which enable you to develop a secure transaction based web apps for the domains like E-Commerce, Banking, Legal, Financial, Healthcare, Inventory etc. To work and understand the hot technologies like Hadoop and Cloud services, you should be prepared with core and advanced Java concepts. So, now let’s begin our discussion and understand the concept of Java Database Connectivity, a helpful tool to interact with the database. JDBC is a standard Java API for a database-independent connectivity between the Java programming language and a wide range of databases. This application program interface lets you encode the access request statements, in Structured Query Language (SQL). They are then passed to the program that manages the database. It mainly involves opening a connection, creating a SQL Database, executing SQL queries and then arriving at the output. We can use JDBC API to access tabular data stored in any relational database. By the help of JDBC API, we can save, update, delete and fetch data from the databases. It is similar to the Open Database Connectivity (ODBC) provided by Microsoft. For a better understanding of working of JDBC, let’s dive deeper into the topic and understand the architecture that lies behind Java Database Connectivity. The JDBC API uses a driver manager and database-specific drivers to provide transparent connectivity to heterogeneous databases. The JDBC driver manager ensures that the correct driver is used to access each data source. The driver manager is capable of supporting multiple concurrent drivers connected to multiple heterogeneous databases. DriverManager is used to manage a list of database drivers. The first driver that recognizes a certain subprotocol under JDBC will be used to establish a database Connection. Driver is an interface that handles the communications with the database server. It also abstracts the details associated with working with Driver objects. Connection is an interface that consists all the methods required to connect to a database. The connection object represents communication context, i.e., all communication with the database is through connection object only. Now let’s move on to the next topic and look at the steps required to create a JDBC Application. In order to create JDBC Application, we need to follow few steps. Let’s see what are they. Import the packages: You need to include the packages containing the JDBC classes needed for database programming. Most often, using import java.sql. * will suffice. Register the JDBC driver: Here you have to initialize a driver so that you can open a communication channel with the database. Open a connection: Here, you can use the getConnection() method to create a Connection object, which represents a physical connection with the database. Execute a query: Requires using an object of type Statement for building and submitting an SQL statement to the database. Extract data from result set: Requires that you use the appropriate getXXX() method to retrieve the data from the result set. Clean up the environment: Requires explicitly closing all database resources versus relying on the JVM’s garbage collection. Now as you have seen various steps involved to create a JDBC Application, let’s see an example code to create a database and establish a connection. Above code creates a table in your localhost database. To insert the values in the created database, you can refer to the below code. I will be writing the code only for step 4. Rest of the code remains the same as above. 1. Establish a connection with a data source. 2. Send queries and update statements to the data source. For example, the use of JDBC drivers enables you to open a database connection to interact with it by sending SQL or database commands. In Type 1 driver, a JDBC bridge accesses ODBC drivers installed on each client machine. Further, ODBC configures Data Source Name (DSN) that represents the target database. In a Type 2 driver, JDBC API calls are converted into native C/C++ API calls, which are unique to the database. These drivers are typically provided by the database vendors and used in the same manner as the JDBC-ODBC Bridge. The vendor-specific driver must be installed on each client machine. The Oracle Call Interface (OCI) driver is an example of a Type 2 driver. In a Type 3 driver, a three-tier approach is used to access databases. The JDBC clients use standard network sockets to communicate with a middleware application server. The socket information is then translated by the middleware application server into the call format required by the DBMS and forwarded to the database server. This kind of driver is extremely flexible since it requires no code installed on the client and a single driver can actually provide access to multiple databases. You can think of the application server as a JDBC “proxy,” meaning that it makes calls for the client application. As a result, you need some knowledge of the application server’s configuration in order to effectively use this driver type. Your application server might use a Type 1, 2, or 4 drivers to communicate with the database. In a Type 4 driver, a pure Java-based driver communicates directly with the vendor’s database through a socket connection. This is the highest performance driver available for the database and is usually provided by the vendor itself. This kind of driver is extremely flexible, you don’t have to install special software on the client or server. Further, these drivers can be downloaded dynamically. 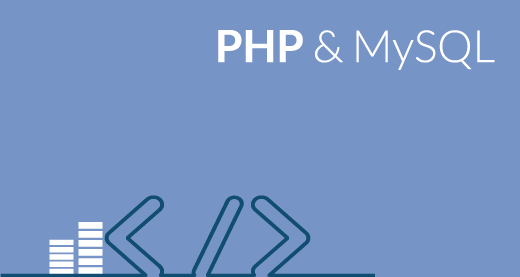 MySQL’s Connector/J driver is a Type 4 driver. Because of the proprietary nature of their network protocols, database vendors usually supply type 4 drivers. So here comes the question, which Driver should be used? Type 2 drivers are useful in situations, where a type 3 or type 4 driver is not available yet for your database. Now, let’s jump into the last topic of JDBC and understand various types of connections. Import JDBC Packages: Add import statements to your Java program to import required classes in your Java code. Register JDBC Driver: This step causes the JVM to load the desired driver implementation into memory so that it can fulfill your JDBC requests. There are 2 approaches to register a driver. The most common approach to register a driver is to use Java’s forName()method to dynamically load the driver’s class file into memory, which automatically registers it. This method is preferable because it allows you to make the driver registration configurable and portable. Refer the below code. The second approach you can use to register a driver is to use the static registerDriver()method. You should use the registerDriver() method if you are using a non-JDK compliant JVM, such as the one provided by Microsoft. Here each form requires a database URL. A database URL is an address that points to your database. A table lists down the popular JDBC driver names and database URL. You can simply create or open a connection using database url, username, and password and also using properties object. A Properties object holds a set of keyword-value pairs. It is used to pass the driver properties to the driver during a call to the getConnection() method. At the end of your JDBC program, we have to close all the database connections to end each database session. However, if you forget, Java’s garbage collector will close the connection when it cleans up stale objects. That was all about Java Database Connectivity. If you wish to know more about JDBC, you can refer these interview questions. Now move ahead and learn Servlets. A servlet is a Java programming language class that is used to extend the capabilities of servers that host applications accessed by means of a request-response programming model. Although servlets can respond to any type of request, they are commonly used to extend the applications hosted by web servers. Servlet is a technology which is used to create a web application. 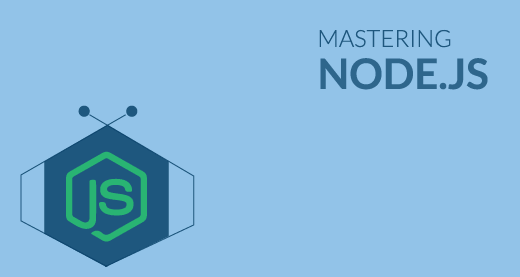 It is an API that provides many interfaces and classes including documentation. Servlet is an interface that must be implemented for creating any Servlet. It is also a class that extends the capabilities of the servers and responds to the incoming requests. It can respond to any requests. The entire life cycle of a Servlet is managed by the Servlet container which uses the javax.servlet.Servlet interface to understand the Servlet object and manage it. Initializing the context, on configuring the Servlet with a zero or positive integer value. If the Servlet is not preceding the stage, it may delay the loading process until the Web container determines that this Servlet is needed to service a request. Initializing a Servlet: After the Servlet is instantiated successfully, the Servlet container initializes the instantiated Servlet object. The container initializes the Servlet object by invoking the init(ServletConfig) method which accepts ServletConfig object reference as a parameter. It creates the ServletRequest and ServletResponse. In this case, if this is an HTTP request then the Web container creates HttpServletRequest and HttpServletResponse objects which are subtypes of the ServletRequest and ServletResponse objects respectively. 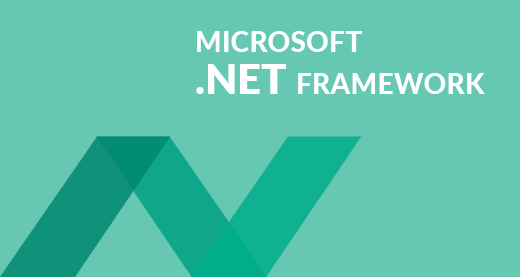 It allows all the threads currently running in the service method of the Servlet instance to complete their jobs and get released. After currently running threads have completed their jobs, the Servlet container calls the destroy() method on the Servlet instance. After the destroy() method is executed, the Servlet container releases all the references of this Servlet instance so that it becomes eligible for garbage collection. Now that you have understood the basics of a servlet, let’s move further and understand what are the steps involved to create a Servlet application. Now, based on the above steps let’s write a program and understand how servlet works. Step 1: To run a servlet program, we should have Apache tomcat server installed and configured. Once the server is configured, you can start with your program. Step 3: Now let’s see how to add 2 numbers using servlets and display the output in the browser. Above program creates a form to enter the numbers for the addition operation. Step 4: Now without the Java class file, you can’t perform addition on 2 numbers. So let’s write a class file. Step 5: After writing the Java class file, the last step is to add mappings to the web.xml file. Let’s see how to do that. Step 6: web.xml file will be present in the WEB-INF folder of your web content. If it is not present, then you can click on Deployment Descriptor and click on Generate Deployment Descriptor Stub. Step 7: After that, you can proceed further and add the mappings to it. Step 8: After all this, you can run the program by starting the server. You will get the desired output on the browser. Basically, this is how servlet should be configured. Now let’s move further and understand the concept of session tracking. Session simply means a particular interval of time. And session tracking is a way to maintain state (data) of a user. It is also known as session management in servlet. We know that the Http protocol is stateless, so we need to maintain state using session tracking techniques. Each time user requests to the server, the server treats the request as the new request. So we need to maintain the state of a user to recognize a particular user. You can see in the figure when you send a request it is considered as a new request. In order to recognize the particular user, we need session tracking. So this was all about Servlets. Now, let’s dive into the last section of our blog and understand what is JSP. JSP or Java Server Pages is a technology that is used to create web application just like Servlet technology. It is an extension to Servlet – as it provides more functionality than servlet such as expression language, JSTL, etc. A JSP page consists of HTML tags and JSP tags. The JSP pages are easier to maintain than Servlet because we can separate designing and development. It provides some additional features such as Expression Language, Custom Tags, etc. Now let’s see various features of JSP with the help of below figure. Portable: JSP tags will process and execute by the server side web container, So that these are browser independent and J2EE server independent. Powerful: JSP consists of bytecode so that all Java features are applicable in case of JSP like robust, dynamic, secure, platform independent. Flexible: It allows to define custom tags so that the developer can fill conferrable to use any kind, framework based markup tags in JSP. Fast Development: If JSP page is modified, we don’t need to recompile and redeploy the project. The Servlet code needs to be updated and recompiled if we have to change the look and feel of the application. Easy: JSP is easy to learn, easy to understand and easy to develop. JSPs are more convenient to write than Servlets because they allow you to embed Java code directly into your HTML pages. Now that you understood what is JSP, let’s see how JSP and Servlets differ from each other and why JSP is better than Servlets with the help of below table. Now let’s dig deeper into Java Server Pages and understand Life Cycle of JSP. As depicted in the above diagram, a JSP page is translated into Servlet by the help of JSP translator. And then, JSP translator is a part of the web server which is responsible for translating the JSP page into Servlet. After that, Servlet page is compiled by the compiler and gets converted into the class file. Moreover, all the processes that happen in Servlet are performed on JSP later, like initialization, committing response to the browser and destroy. scriptlet tag – A scriptlet tag is used to execute Java source code in JSP. expression tag – The code placed within JSP expression tag is written to the output stream of the response. So you need not write out.print() to write data. It is mainly used to print the values of variable or method. declaration tag – The JSP declaration tag is used to declare fields and methods. The code written inside the JSP declaration tag is placed outside the service() method of an auto-generated servlet. So it doesn’t get memory at each request. If you wish to know more about JSP, you can refer these interview questions. 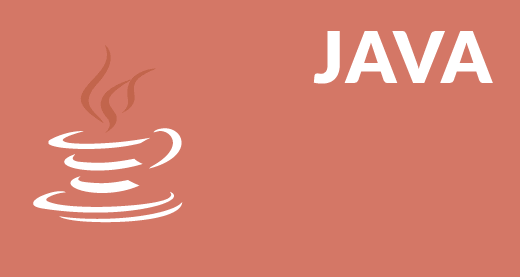 This brings us to the end of our blog on Advanced Java Tutorial. I hope you found this blog informative and added value to your knowledge. Check out the Java Certification Training by Edureka, a trusted online learning company with a network of more than 250,000 satisfied learners spread across the globe. Edureka’s Java J2EE and SOA training and certification course is designed for students and professionals who want to be a Java Developer. The course is designed to give you a head start into Java programming and train you for both core and advanced Java concepts along with various Java frameworks like Hibernate & Spring. Got a question for us? Please mention it in the comments section of this “Advanced Java” blog and we will get back to you as soon as possible. Test Automation Frameworks: How to Build a Framework in Selenium?